American troops who were still in Vietnam at the beginning of 1971 inhabited a strange place. The South Vietnamese were supposed to be taking over; large-scale operations by U.S. troops had nearly stopped. Americans were prohibited from entering Cambodia or Laos. Many units had gone home. Troop strength dropped nearly 150,000 in a year. The fleet of Army helicopters and fixed wing aircraft, once exceeding 4,500, was on its way to 3,200 by summer. You could almost believe the war was ending. Then came pandemonium in the prohibited zone of southern Laos. The Army of the Republic of Vietnam attempted a multidivisional overland invasion of Laos across the area just below the DMZ. Helicopter pilots and crews held center stage in this effort. Choppers of the 101st Airborne Division were based at the foot of the Annamite mountain chain at Camp Evans, between Quang Tri and Hue, and at Camp Eagle, outside Hue. This operation became so big that commanders also pulled in choppers working with the Americal Division by Phu Bai, some of those with the Cav (the rump of the 1st Cavalry Division), and the 1st Aviation Brigade. Frightened of leaks, the brass gave chopper crews little warning of the operation or their role in it. For some, their first notice was from the washerwomen at base camp asking when they’d be leaving for Quang Tri. 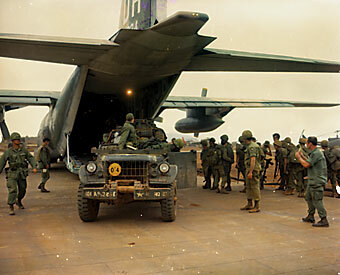 On the first day of the operation, the 158th Aviation Battalion carried ARVN paratroopers and Rangers, as well as the 223rd Battalion of the South Vietnamese 1st Infantry Division, to create a line of firebases inside Laos. The chopper units embodied the Americans’ most aggressive and innovative combat tactics. Some had arrived in 1965 during the first escalation of the war. They bore storied names such as Kingsmen, Comancheros & Hawks, Phoenix, Dolphins & Sharks, Rattlers & Firebirds, Wasps & Stingers, Minutemen & Muskets, Stagecoach & Falcons, and Gunrunners. Among them were assault helicopter companies combining platoons of “slicks” (UH-1 Hueys used for troop transport) and gunships (Hueys equipped with machineguns, rocket pods, and extra armor). Medium units such as Hercules, the 132nd Assault Helicopter Company, operated the big CH-47B Chinook. There also were specialized units such as the 4/77 Airborne Rocket Artillery, representing the ultimate in gunship technology. By early 1971, the Americans also were trying out the hot, new Cobra, the AH-1, the first purpose-designed gunship helicopter. Laos would be a stunning experience for the Americanshelicopter crews, Air Force support, and the rest of the GIs. For the choppers there were at least five reasons. First, the entire operation would be in land the North Vietnamese had dominated for many years. The enemy had bases, superior logistics, and prepared defenses. Second, those included strong air defenses, not simply 12.7mm (.51 caliber) machine guns, but 23-, 37-, 57-, and even 100mm cannon. 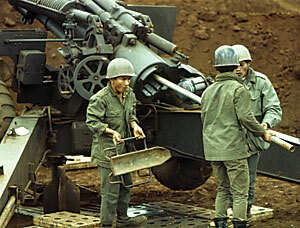 Heavy flak weapons had been very rare inside South Vietnam. Tactics had previously built on the notion that a chopper above 1,500 feet was safe from enemy fire. In Laos there would be no safe altitude. Actuallyand here is the third reasonthe campaign occurred in the mountains. Even maintaining altitude, because of the land elevation, meant flying higher. Because air density, temperature, and the myriad factors that went into the practice of flying a helicopter depended on altitude above sea level, not apparent height, in Laos the choppers would have less lift and payload, and increased gasoline consumption. In addition, the Highlands were largely jungle-covered, with clearings suitable for Landing Zones usually only big enough for one or two helicopters. LZs had to be improviseddropping huge 15,000-pound Daisy Cutter bombs from C-130s, with accompanying fighter-bomber strikes merely to clear away vegetation. Together with the usual air support, the downdraft of helicopters, artillery strikes, and the smoke of battle, on most days the air over the combat zone became saturated with particulates. By afternoon, visibility shrank to nothing. Navigation became a real challenge. Fourth, there had never been a sustained ground campaign so dependent on helicopter support and conducted at such great range from home airfields. Ships began a day with a flight of half an hour or more from coastal lowlands to the mountains, where they needed to refuel. 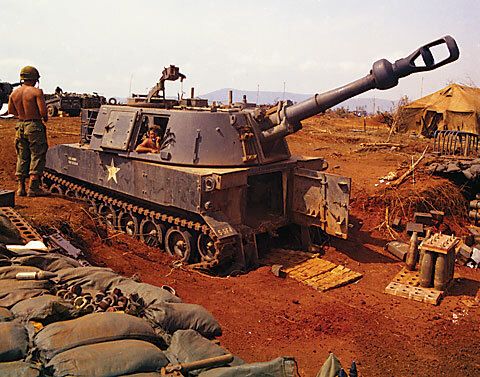 The first phase, conducted by the 101st Airborne Division, was to recapture old U.S. positions at Khe Sanh and Lang Vei, together with the border village of Lao Bao, so these could be used for helicopter refueling points. Finally, Laos would be different because U.S. law after 1970 prohibited the use of American troops across the Vietnamese border. So there would be no U.S. boots on the ground. The battle would depend on the ARVN. The American withdrawal strategy had been to thin forces from the south northward, leaving a strong formation, the XXIV Corps, in place below the DMZ. That force contained the 101st Airborne, converted to an airmobile configuration and reinforced by a mechanized brigade. The 23rd Infantry and a composite Marine brigade made up the balance. Across the rest of South Vietnam there were only a few other U.S. brigades, including what remained of the 1st Cavalry Division. Gen. Creighton V. Abrams, commander of MACV, was careful also to maintain strong combat support, so the 1st Aviation Brigade remained very capable, as did the 20th Engineer Brigade. Abrams drew deeply on these for the offensive. Because continuing drawdowns would soon deprive MACV of large-scale offensive capability, the Nixon White House ordered Abrams to propose immediate offensives. The Laotian drive, called Lam Son 719, became the favored option. Gen. Abrams, President Nguyen Van Thieu, and the ARVN Gen. Cao Van Vien, chair of the South Vietnamese Joint General Staff, determined its size and purpose. Laos had been declared neutral by international agreement at Genevain 1954 and again in 1962so mounting an offensive meant entering a prohibited zone. No matter. Lam Son 719 attempted to slice through the Ho Chi Minh Trail behind the Laotian border where the Annamite mountains shielded Hanoi’s supply route to the south. A town called Tchepone, twenty-four miles into Laos, was a major depot and distribution point. ARVN forces would advance behind a screen of firebases, with the main thrust along Route 9, the sole road connecting the coast with the Mekong Riverand the Laotian border with Thailand. Helicopters would establish the firebases. The South Vietnamese intended to advance to Tchepone, destroy its depot and stores, and raid the surrounding region. Then the ARVN would turn southeast, trampling the enemy’s Base Area 611, and exit through the A Shau Valley. Forces involved included the cream of the Armythe 1st Infantry Division, the Airborne Divisionand units of the Marine Division, along with an ancillary elite Ranger groupin all about 22,000 men. Managing this mass promised to be a huge headache. XXIV Corps assigned four combat aviation battalions up front, one to each major ARVN formation and another to shift as developments required. All reported to Brig. Gen. Sidney B. Berry, assistant commander of the 101st. The previous summer Berry had played the leading role converting the Screaming Eagles to an airmobile unit. He knew exactly what needed doing. He put an aerial operations center at Lao Bao, co-located with ARVN I Corps commander Lt. Gen. Hoang Xuan Lam’s forward command post. 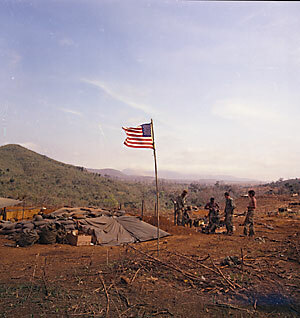 The Screaming Eagles also secured Khe Sanh and the border area, a phase distinguished by the codename Dewey Canyon II. The attached 1st Brigade, 5th Mechanized Division under Brig. Gen. John Hill carried out that operation. Behind them, engineers of the 20th Group restored Route 9, including its many bridges. One more thing complicated the Laotian campaign: North Vietnamese intelligence knew all about it. Washington officials had discussed Hanoi’s knowledge of Lam Son 719 even before the offensive began. But they decided to go ahead and draw out the North Vietnamese. By January 28, when Dewey Canyon jumped off, MACV intelligence had indications the North Vietnamese Army was pulling units back to base areas to be ready to strike. When Lam Son started on February 8 the NVA redeployment was nearly complete. If that were not enough, two days into the offensive one of several South Vietnamese helicopters carrying Gen. Lam on an inspection visit into Laos was shot down. Four combat photographers were killed. Also among the dead was Lam’s operations chief, Col. Cao Khac Nhat, who carried the plans for Lam Son 719. The North Vietnamese could not have had better information. President Thieu ordered the attack on national television. By then the helicopters already were in the air. Tom Marshall, a copilot with the 158th Assault Helicopter Battalion, had been spending nearly eight hours a day flying and thought someone had decided to start the whole damn war all over again. WO Robert Gentry in Marshall’s unit died when NVA fire raked his ship, cutting his hydraulics. They deposited ARVN paratroopers on LZ 30. Nearly 3,400 South Vietnamese soldiers landed on a series of LZs, most carved out of the jungle. Air support included 468 helicopter gunship sorties, 58 by tactical aircraft, and 11 B-52s, together delivering 719 tons of bombs. Despite that ordnance, several choppers were lost and fifteen more damaged. Seven Army crewmen were killed the first day. One helicopter was blown up at 4,000 feet. In another formation flying at 10,000 feet, a pilot reported flak, only to be chewed out by his CO for fantasizing a World War II movie. Then the flight leader saw shell bursts himself and ordered his pilots to break off. Frank G. Wickersham was an AH-1 Cobra pilot with the Marine squadron HML-367 at Marble Mountain. HMH-463 was a Marine medium lift squadron of CH-53s working with Gen. Berry. Wickersham’s Cobras were tagged as escorts. Now on his second Vietnam tour, Wickersham had been in the 1968 Khe Sanh battle and remembers this one as flying into history. Their Forward Arming and Refueling Point was at the old Special Forces camp at Lang Vei. Bulldozers sculpted a landing apron there by simply razing the entire glade that lay northeast of the old camp. There were lots of holes in the ground that looked like they’d been left by telephone poles. It dawned on Wickersham that the holes were from 750-pound bombs dropped during Operation Arc Light strikes. Lt. Wickersham recalled the opposition those first days as relatively light, but then he started encountering 37mm and 57mm flak. The Cobras went to 6,000 feetsilly from a mission standpoint, but it held down losses. Then the burst patterns from the NVA flak tightened, indicating radar control. The North Vietnamese introduced the Soviet-made shoulder-fired missile called the SA-7 (Strella). That proved the kicker. In those days the choppers had no SAM detection or evasion avionics. Pilots had to look out for themselves. A good pilot in an agile Cobra could do okay, but the lumbering CH-53 Sea Stallions were very vulnerable. The Marines shifted to extremely low-altitude flight tactics, trusting in their quick passage to limit their vulnerability. The North Vietnamese had tactics, too. Their practice of moving close to ARVN positions reduced the ability of U.S. aircraft to attack them. But in Laos there was a whole lot more. NVA units had orders to study areas struck by Arc Light or surveyed by photo recon aircraft. The North Vietnamese then looked for nearby hillocks to deploy flak. At an established LZ the enemy put sections of 12.7mm guns sited a kilometer away. They would reinforce the flak coverage the night after an air assault. Artillery and mortar bombardments were used to interdict unloading on the LZ. The 12.7mm weapons were often put into the front to get close to landing choppers. Even rocket-propelled grenades could take out helicopters on final approach. Several helicopters were lost that way. The NVA waited until allied choppers entered the kill zone, then opened up with everything. Larger 23mm guns were placed in circular, triangular, or rectangular arrangements around LZs. Single guns protected storage sites or vital crossroads. Where the ARVN turned their landing zones into strong points or firebases, the North Vietnamese realized that meant establishing a continuing resupply requirement. Flight paths from allied refueling or pickup points were predictable. The NVA set up flak corridors five or ten kilometers deep. Established NVA practice had been to re-site flak guns every week or so, but during the Laotian campaign they did this every day. The 12.7mm gun, at 85 pounds, could be moved by several men. Larger guns, from the 2,100-pound 23mm to the 21,000-pound 100mm, required trucks. The fact that the North Vietnamese could accomplish this shows they retained freedom of movement, even against allied air superiority. The heart of their operations included the 241st and 581st Air Defense Regiments. Long before the invasion, U.S. intelligence estimates tabulated the defenses at more than two hundred flak weapons. The numbers were up around three hundred by the start of the campaign, and before it ended some estimates would go as high as eight hundred, including 150-200 heavy flak pieces in as many as nineteen battalions. The NVA also fielded the SA-2 SAM along the Ho Chi Minh Trail for the first time. South Vietnamese and American helicopter crews faced deadly peril. Donald Whaley arrived at Camp Evans about a month before Lam Son. He was an analyst with 101st Airborne intelligence. Whaley, a quick learner, would soon head the Quang Tri desk, but at this point all eyes were on Laos. The predominant feeling in the Screaming Eagles’ intel shop, Whaley remembers, was “Oh no! What have we gotten into?” The Marines could say that, too. By 1971 the Corps had only one air wing in Vietnam. It included Cobra gunships and CH-53 medium transports. The Army refused to use its big CH-54 Sky Cranes to lift ARVN artillery into Laos. So Lt. Col. Robert R. Leisy’s HMH-463 lifted the South Vietnamese guns. Helicopters from both services moved munitions. The successes of the first day of Lam Son quickly gave way to trouble. The ARVN armor bogged down at Ban Dong, just halfway to Tchepone. The scale of North Vietnamese counterattacks built quickly. By mid-February ARVN commander Gen. Lam complained that the Americans were shorting him of the daily minimum 130 helicopters he’d been promised. U.S. officers pointed to the stiff NVA opposition and increasing damage levels among the helicopters. On February 15 a Chinook carrying gasoline was hit and broke up in midair. A few days later Maj. Willis Bunting’s BlueStars, the 48th Assault Helicopter Company, arrived from the 1st Aviation Brigade. The unit stayed through the entire campaign. Eventually the BlueStars were reduced to a single serviceable helicopter, and three downed crews were stranded in Laos. Other units had similar stories. Lt. Col. Robert F. Molinelli, with his 2nd Squadron, 17th Cavalry, also flew from Dong Ha. This unit scored big on February 17, when its ships made two breaks in a North Vietnamese gasoline pipeline, triggering secondary fires. Molinelli’s crews also found so many North Vietnamese tanks that they expended their ammunition before they could even engage them all. Lt. Richard M. Johnson, one of Molinelli’s pilots, decided that if ever an operation had been set up to fail, Lam Son 719 was it. Molinelli recorded that over several weeks every ship of his unit that crossed the border was hit every day. 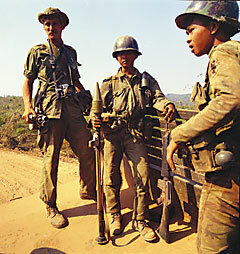 The NVA initially focused its attacks north of Route 9, where ARVN paratroopers and Rangers held a series of positions. On February 20 Ranger North became the first to fall. Maj. James Lloyd, skipper of C Company of the 158th Assault, had to autorotate after his chopper was badly damaged on a rescue mission. Lloyd became a ground observer directing artillery fire, as did many Americans downed in Laos. Vietnamese had been paired with U.S. forward observers from the start, but there were language problems and the ARVN lacked secure radios. When airmen called for ARVN observers to pop a smokefiring flares to mark position was routine for South Vietnamese as much as for Americansflares went off all around, making the action useless. Support improved as more Americans moved into Laos. Frank Wickersham recalls that the pilots’ private guard frequency, used for emergency communications, gradually became a tactical frequency focused on air support. North Vietnamese reinforcements from the south soon engaged ARVN 1st Division units. Gen. Lam decided to evacuate Fire Support Base Hotel II and redeploy the infantry there. Marines of HMH-463 sent CH-53s to Hotel II on February 23 to extract its 155mm howitzers. One ship, piloted by squadron ops officer Maj. Michael J. Wasko, Jr., was damaged so badly it had to land. Within days the ship had accumulated five hundred to seven hundred bullet and shrapnel holes. Ground crews, looking at other ships used here, counted more than eighty holes. Among the wounded was Lt. Col. Charles H. Pitman, who had to be medevacked. Two decades later Pitman played an important role in the Iran hostage rescue attempt. WO Daniel Grossman of the BlueStars had been shot down once already, on the first day of Lam Son, with his unit commander Maj. Bunting. Now he worried about Bunting’s “magnetism.” On February 28 Bunting was in the right seat when choppers went to extract ARVN wounded west of LZ Blue. No shots were fired. Grossman was thinking how cool that was, when a mortar exploded nearby and all hell broke loose. Bullets came through the chin bubble. Others knocked the machine gun out of the gunner’s hand. They staggered to a nearby clearing. Everybody except Grossman was wounded or killed. Bunting had a leg wound. Miraculously, the trailing slick stayed right with them, managing an immediate rescue. Grossman went to sleep at Dong Ha, reluctantly deciding it was just another day in Laos. Everyone in Lam Son, he thinks now, has a story just like that. Twenty-five BlueStar choppers went down in Laos and many more were shot up. The enemy armor was a big factor. Capt. Douglas Menarchik piloted an AC-119 gunship with the 17th Special Operations Wing out of Nha Trang. The big gunships had been doing a lot of night support in Laos, and Menarchik helped the 2nd Airborne Battalion defend FSB 30 on the northern face of the ARVN salient. 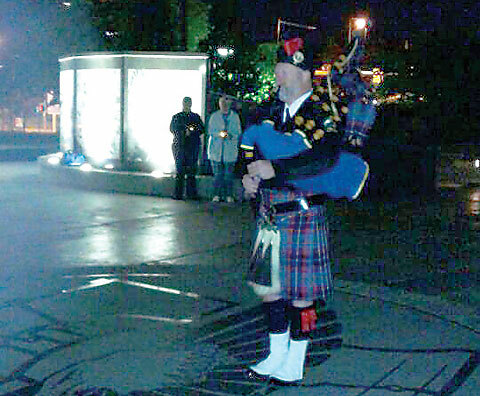 The night of March 3 the NVA made pitched attacks. The paras were perched on a hill so steep enemy tanks couldn’t reach them, but enemy cannons could. Menarchik circled above and unloaded on the tanks. His gunship had no armor-piercing ammunition. He could only shake up the enemy. Firebase 30 fell that night. By early March most of the ARVN positions above Route 9 had been abandoned. South Vietnamese armor still had made no headway toward Tchepone, and NVA attacks were furious. President Thieu reoriented the operation. The ARVN would hold the southern face of their salient, project new firebases forward by air assault, and take Tchepone. On March 3, the same day as the FSB 30 fight, this operation began with an air assault onto LZ Lolo. Gen. Berry attended part of the briefing where pilots were told the LZ had no gun cover for the landing. It became a black day for U.S. helicopters. Twenty Hueys made up the first wave. Five were lost and the rest damaged, including eight so badly shot up they were useless. Losses mounted on each of the three attack waves: Eleven Hueys were destroyed and forty-four damaged. On March 5, during the combat assault into LZ Sophia, another in this series, Witch Doctor 5 of the 174th Air Assault Company was downed. The name was the call sign for Lt. Ralph E. “Butch” Elliott. Attempts to extract the crew were frustrated by NVA flak. An Air Force A-1E Skyraider was shot down trying to aid the rescuers. Elliot and his crew hid inside an enemy bunker for several daysonly possible because the North Vietnamese had moved their guns. AC-130 gunships kept the NVA at bay until Witch Doctor 5’s crew was picked up. Already by February XXIV Corps was telling higher command that damage was reducing its ability to put gunships aloft. MACV sent in reinforcements. D Company of the 227th Aerial Weapons Battalion arrived on February 25. In early March, the Delta Devils of the 235th Aerial Weapons Company came just after the landing at LZ Sophia and stayed through the rest of the campaign. From Sophia the ARVN leaped to LZ Hope, just four kilometers from Tchepone. Two battalions were conveyed by an astonishing 120 helicopters in the largest air assault of the Vietnam War. The South Vietnamese troops fought their way into the town the next day. They held the depot until March 10, destroying whatever they could not lift out. Then the withdrawal began. There were more scary moments as helicopters extracted South Vietnamese from firebases. Lolo and others, taken at such great expense, were abandoned after just days. Of the rearguard battalion at Lolo, only twenty-seven soldiers emerged unscathed, with sixty-one wounded. The senior survivor was a sergeant. The North Vietnamese attacked as ARVN pulled back. Action came to a head at FSB Brown on March 20, when four ARVN battalions had to be rescued. Of one formation of forty helicopters, twenty-eight ships were hit. MACV added the 282nd Assault Helicopter Company to help with the withdrawal. The 158th Combat Aviation Battalion lost its CO. The 101st Airborne Division determined that nearly 30 percent of its Huey losses in the campaign occurred on the two days of fighting at Lolo and Brown. While the helicopters helped the South Vietnamese withdraw from their firebases below Route 9, the ARVN armor and accompanying troops staggered toward the border along the road itself. On March 26 the last of Thieu’s troops crossed back into South Vietnam. Lam Son 719 effectively ended that day, although more than a week passed before Saigon declared it over, and the ARVN staged a couple of commando raids to keep up appearances. Both Washington and Saigon painted the invasion as a great military victory, but the campaign fell far short. The claims of enemy weapons and supplies destroyed and captured were paltry compared to those in Cambodia the year before. Claims of NVA casualties were overshadowed by the toll on the ARVN’s most elite units. Worse, the ARVN had not been able to hold the objective for more than a couple of days. Media across the globe carried pictures of South Vietnamese troops desperately hanging on to helicopters or riding Huey landing struts, suggesting a rout. Efforts were made to minimize this behavior to just a couple of incidents. But the fact is that the ARVN’s best units were running for shelter. An armored brigade lost all its equipment despite having engaged in only minor combat. The ARVN lost more than 1,500 radios. Lost, too, were 57 tanks, 87 APCs, and some 500 crew-served weapons (including 96 artillery pieces). 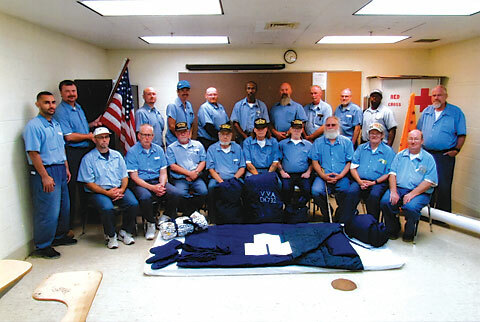 An army retreating in good order does not lose all its equipment. It certainly does not abandon its communications gear. The South Vietnamese admitted to 1,160 killed in action, 4,271 wounded, and 240 missing. The media reported three times as many dead and missing and double the casualties. XXIV Corps recorded figures close to what appeared in the media. North Vietnamese dead were estimated at 19,000. American losses were painfully high. Casualties included 253 dead or missing and 1,149 wounded. By comparison, the Marine Corps admitted losses in the 1968 Khe Sanh Siege of 205 dead, 1,668 wounded, and one missing. Both sets of figures are suspect. Over a hundred of the dead in Lam Son, 215 wounded, and 53 missing came from the helicopter force. Some 107 helicopters were destroyed and an additional 618 damaged, 20 percent of which were expected never to fly again. The helicopter loss figures were reportedly manipulated by counting ships as “recovered” when sometimes all that was brought back were panels bearing registration or serial numbers. Regardless, it was the American helicopter crews who made the Laotian campaign possible. Their bravery and ingenuity enabled the South Vietnamese to get as far as they did. 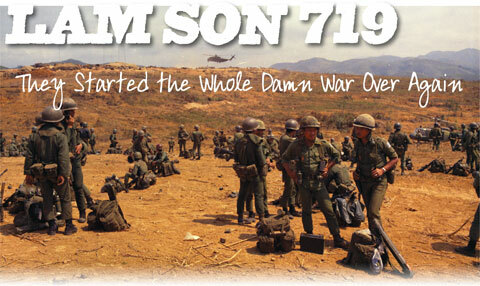 Lam Son 719 was the grand finale of the Vietnam helicopter war. John Prados directs the Vietnam War documentation project at the National Security Archive. He is the author of more than twenty books, most recently The U.S. Special Forces: What Everyone Needs to Know.